Various types of green tea can be created from the same tea leaves. Different flavors and aromas are produced depending upon how the leaves are cultivated and processed. 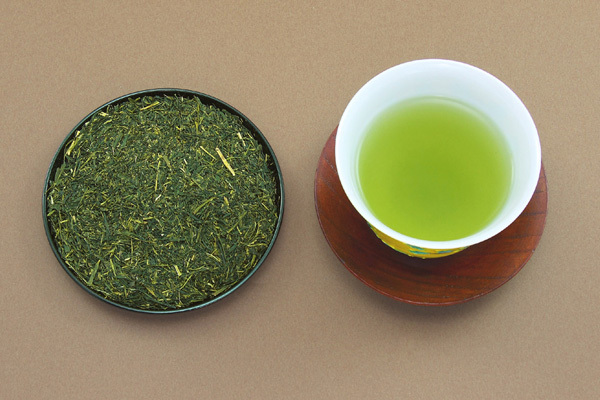 In this section we will introduce you to the major varieties of green tea including the well-known Sencha and Gyokuro. As its name suggests, Fukamushi Sencha is a variety of green tea that is steamed two to three times longer than regular Sencha. The longer steaming process causes the tea leaves to become fragile and break into small pieces. This process yields a slightly diminished aroma, but the smaller elements also allow a shorter brewing period for this sweet and full-bodied tea. Copyrights(c) Shohokuen CO.,LTD. All Rights Reserved.